James Corbin started training in martial arts around 4 or 5 years old. He considers himself very lucky to train in multiple martial arts with some of the best athletes, coaches, and instructors in the world. 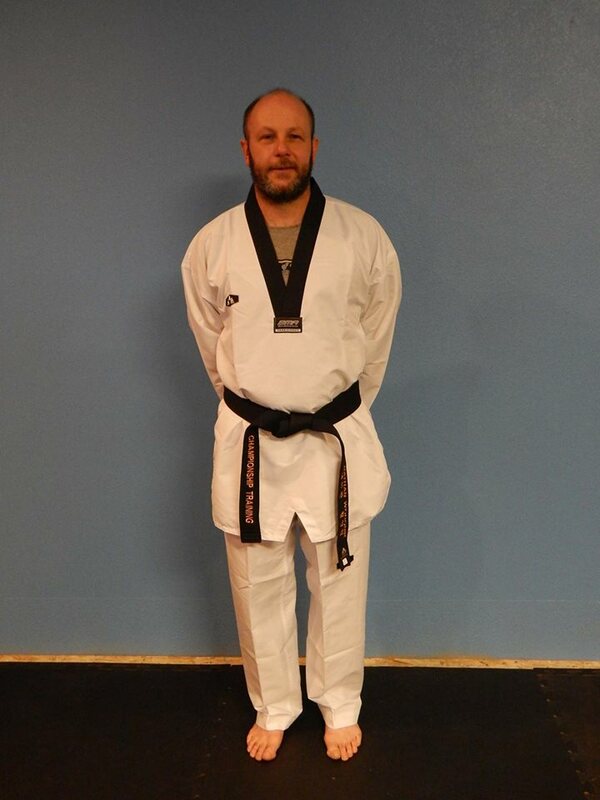 Master Corbin is grateful to all of the people that have helped him on his martial arts path. He is a 2014 AAU National Silver Medalist, 2015 AAU National Champion, and 2016 World Open Silver Medalist. As coach he led the 2013 AAU 2nd Place National Team, as well as the 2014 and 2015 AAU National Champion Teams. Master Corbin’s goal is to use martial arts training to help each student gain more confidence, self-control, accountability, strong work ethic, a feeling of safety, team building, success through hard work, and so much more. Nate Woronik has been a part of Championship Training since the beginning. His excitement for Taekwondo began after the first tournament his daughter fought in. He thought it would be a great family experience for them both to train and learn the disciplines of Taekwondo. From there, his knowledge of the sport grew quickly and he became Championship Training’s first Assistant Coach. Since stepping on the mat, Mr. Woronik has competed and coached at local, out of state, and national tournaments, even earning a silver medal at Nationals. Besides dedicating his time to assist with coaching at Championship Training, Mr. Woronik also runs his own plumbing business, enjoys rafting, mountain biking and snowboarding, and coaches his son’s football team. His love for coaching goes deeper than having his athletes win. He finds true joy watching them succeed by becoming better athletes, and more importantly by developing confident individuals. Abby Heaton has been doing Taekwondo for 6 years, and since then has received her 1st Dan, competed at Nationals 3 times, and won both a National Championship and a silver medal. Taekwondo has helped her confidence and body awareness when it comes to everyday life and self-defense situations. As an instructor Ms. Heaton wants to help students achieve that same confidence, both on and off the mat. Seeing a student’s first class, and watching their advancement is why she loves being an instructor at Championship Training.